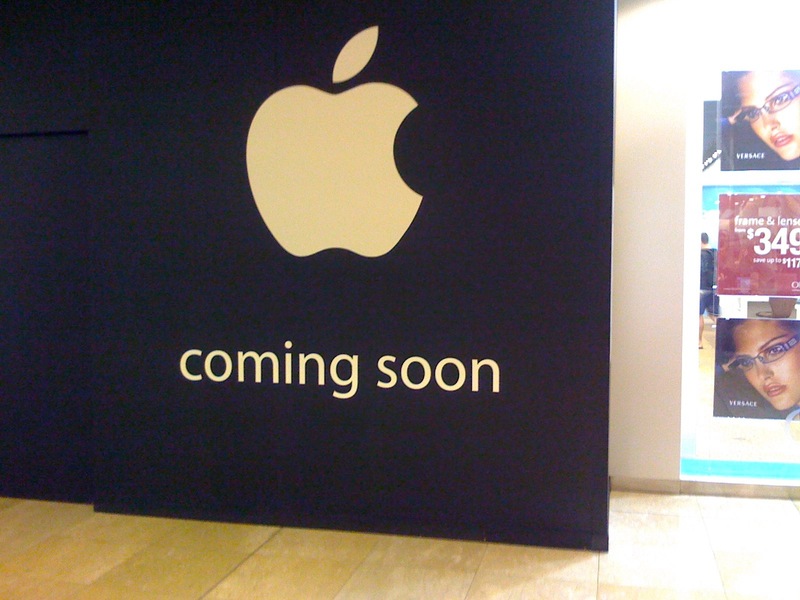 Walking by Chatswood Chase shopping centre yesterday I noticed the construction for the new Apple store. Here’s a pic of the work site. I took the picture with my unlocked / pawned iPhone :). How ironic is that? Now that is a camera :)Hasselblad’s 39 megapixel H3DII-39MS DSLR brings the multi-shot:Filed under: Digital CamerasIt can’t be easy to improve upon a $37,000, 39 megapixel DSLR, but high-end camera manufacturer Hasselblad claims to have done just that with its H3DII-39MS, which adds a multi-shot feature (and $7,000) to the recently-announced H3DII-39 (pictured)…. Look for this new model in stores (specialty retailers, not Best Buy) starting in January of next year.&nbsp;Read | Permalink | Email this | CommentsOffice Depot Featured Gadget: Xbox 360 Platinum System Packs the power to bring games to life! It can’t be easy to improve upon a $37,000, 39 megapixel DSLR, but high-end camera manufacturer Hasselblad claims to have done just that with its H3DII-39MS, which adds a multi-shot feature (and $7,000) to the recently-announced H3DII-39 (pictured). Targeted at architectural and still-life photographers, the 39MS essentially takes its sibling’s body and tacks on Hasselblad’s CF-39MS digital back, promising unprecedented performance and image quality when firing off multiple shots in sequence. Look for this new model in stores (specialty retailers, not Best Buy) starting in January of next year. I have finally had enough with the all the memory leaks of Firefox and have switched to Opera.I have been a long timer Firefox user, since the really early days, but lately the memory bloat has just increased beyond what is comfortable…. The worst part of the experience though is that Firefox will sometimes lock up all the tabs while it is trying to connect to some ad site or doing garbage collection.I switched to Opera a week ago, and after a small transition period I am no really happy with it, It is always responsive, does not use much memory and has this most awesome feature called Speed dial. I have finally had enough with the all the memory leaks of Firefox and have switched to Opera. I have been a long timer Firefox user, since the really early days, but lately the memory bloat has just increased beyond what is comfortable. My browser is sometimes running for weeks at a time and it is not unnatural to see Firefox reach the 800MB mark even though I might only have 2 tabs open. The consequence of this is that the rest of my programs, xemacs mail iChat and Serendipity Blackmagic become unresponsive for a few seconds as I switch over to them. The worst part of the experience though is that Firefox will sometimes lock up all the tabs while it is trying to connect to some ad site or doing garbage collection. I switched to Opera a week ago, and after a small transition period I am no really happy with it, It is always responsive, does not use much memory and has this most awesome feature called Speed dial.